MIRAMAR, Fla. - A woman accused of smothering her two children inside a Miramar home this week was ordered to remain in jail without bond. Sophia Hines' attorney said Friday that his client was not well enough to appear before a judge. "This is a person who suffers a severe, severe mental illness. She suffers from severe postpartum depression," public defender Betsy Benson said. "I think women all over America are either familiar with it or know someone who has suffered from it, but this is something like I've never seen." Police said Hines, 40, suffocated her 7-month-old son, St. Leo, and her 3-year-old daughter, Ariel, with a bed sheet Wednesday at a home in the 6100 block of Southwest 38th Street. 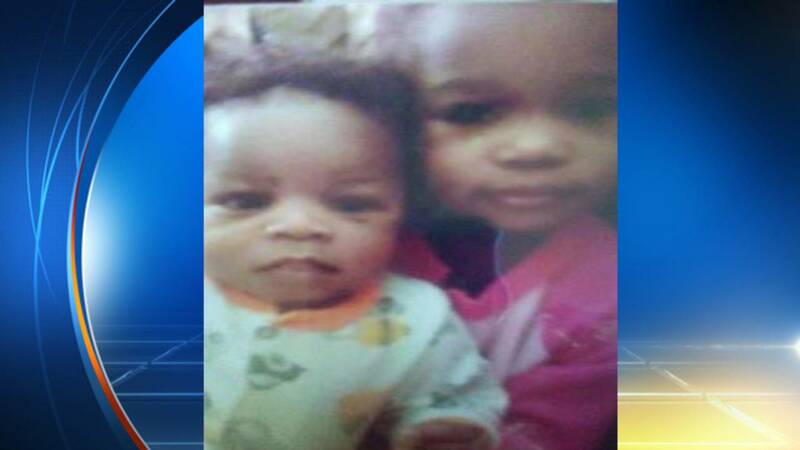 Miramar police spokeswoman Tania Rues said Hines and her children were visiting from Philadelphia. "She was really good with the kids," Hines' husband and St. Leo's father, Anthony Singleton, said. "This is the last person you'd think would do something to my son (and) to her daughter." Police said Hines confessed to killing both kids, but didn't give a motive. According to an arrest report, Hines called a woman who lives at the home shortly before 4:30 p.m. and told her to "come home now." When the woman arrived, she saw Hines crying and found the two children lying side by side in a supine position on a bed in the master bedroom. Paramedics were called and pronounced the children dead at the scene. Singleton said he never saw this coming. "I had no idea. I hadn't seen it," Singleton said. "When she was here, we were husband and wife and this is the last thing I would expect. This is the very, very last thing." A Florida Department of Children and Families spokeswoman said the agency has no prior child welfare history involving Hines and the children in the state. However, the Philadelphia Department of Human Services confirmed that it has had prior contact with the family. "St. Leo and Ariel Hines were both involved with DHS but were not in the Department's custody," DHS spokeswoman Alicia Taylor said. "The children and their parents were receiving in home services by Turning Points for Children, a DHS community umbrella agency. Those services include face to face contact with the family to address their particular issues. We are saddened by this tragedy and our thoughts and prayers are with the family."